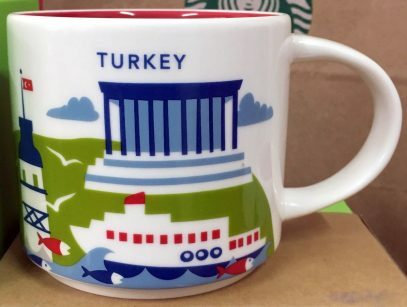 It took Starbucks six city mugs before releasing You Are Here Turkey country mug. 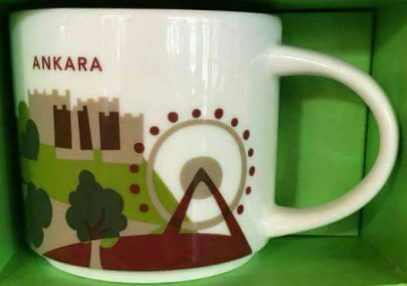 Unfortunately I was not able to identify the building on the front of the mug, but it is definitely something from ancient times. 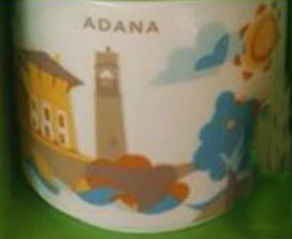 Second from the group of two Turkish mugs – You Are Here – Adana. 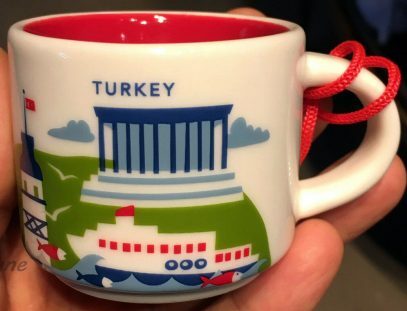 Two new YAHs were spotted today in Turkey. 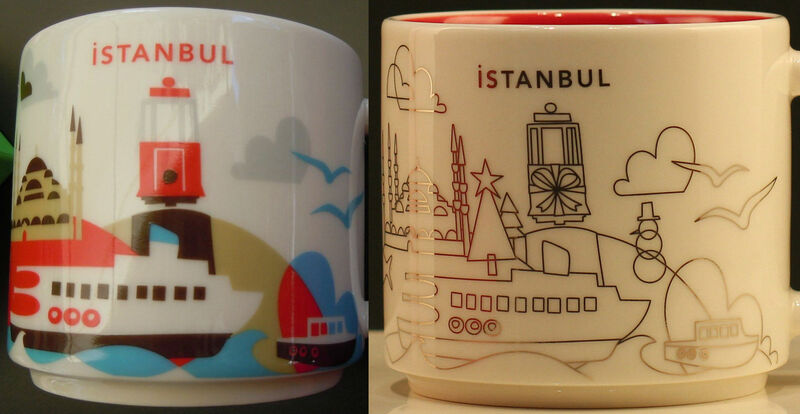 I guess Starbucks is popular in this country since these are 5th and 6th mugs from this series. 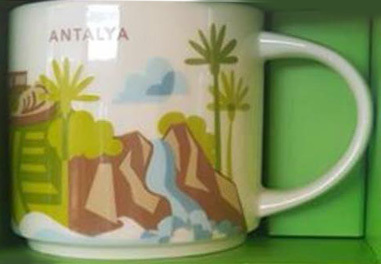 Starbucks continues to delight us with new releases for You Are Here Series. 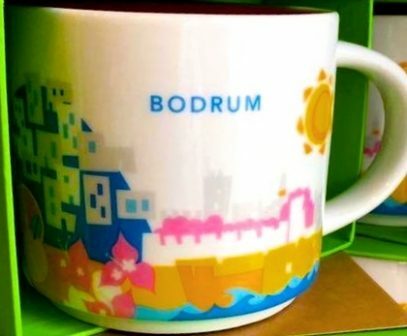 The new mug is dedicated to Izmir. 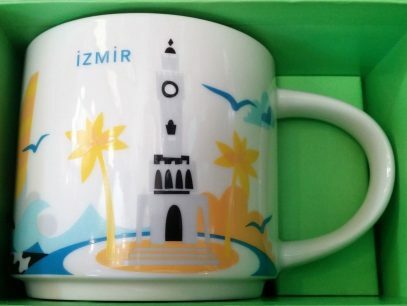 Izmir is a pretty big city in the western part of Turkey. 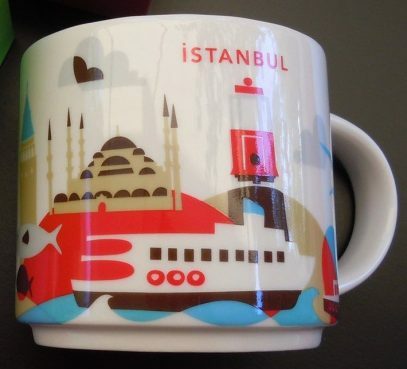 Only Istanbul and Ankara have bigger population. 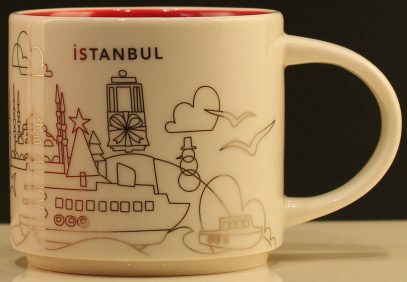 Izmir is a very important transportation hub and second largest port of Turkey.